It was also a strong year for venture capital funds. The total invested in 2017 was C$3.5 billion over 592 deals, surpassing 2016’s total of C$3.2 billion.8 This is in part due to the Canadian government’s continued backing of the venture capital industry with its 2017 budget, which proposed C$400 million for investment through the Venture Capital Catalyst Initiative. Unlike in other jurisdictions, in Canada, private equity arms of pension funds, many of which have an international presence with offices worldwide, are the most prominent and active investors. Examples of key players include the Canada Pension Plan Investment Board, Caisse de dépôt et placement du Québec, the Public Sector Pension Investment Board and the Ontario Teachers’ Pension Plan. These institutional investors have established a collaborative network that often allows for the sharing of knowledge and best practices and partnering for investments. In addition, family offices and sovereign wealth funds have emerged as important contributors to the private equity landscape in Canada. In the highly competitive investment climate in Canada, it is becoming more common to see investors specialise in the sectors in which they operate (e.g., healthcare or energy). At the same time, there is also a trend toward the expansion by investors, in particular large funds, into new sectors such as oil and gas. Increasingly, co-investment opportunities serve to incentivise investors to commit to private equity funds and are often leveraged by the investor in the negotiation process. Co-investments allow investors to invest alongside the fund in potentially very profitable investments and to improve their overall return by decreasing fees. Such opportunities are more likely to be made available to large institutional investors who have an existing relationship with the fund and are vocal about the need to be presented with opportunities to invest directly. Conversely, general partners still seek to retain discretion in the allocation of co-investment opportunities to the extent the negotiation dynamics allow. Although the fundraising environment for general partners has generally remained favourable following a multi-year trend of distributions surpassing capital calls, this has partially been offset by a saturated playing-field and an increasing desire by investors to concentrate commitments across a smaller group of top performing funds. In this market, investors are presented with ample opportunities for investment and can afford to be selective. In order to receive commitments from investors, general partners must differentiate themselves to stand out from the pack. General partners who have clear and concise investment strategies, a proven track record, good succession planning, transparent and fair deal allocation policies and fees and expenses, co-investment opportunities and terms that generally do not deviate too significantly from market are more likely to be well received by potential investors. Increasingly, investors are seeking funds focused on niche areas or offering unique investment strategies. As well, in recent years investors, notably pension funds, insurance companies, sovereign wealth funds and other large institutional investors, have demonstrated an appetite for funds with longer investment horizons. Unlike the usual 10-year fund model (in which investments are typically held for three to five years), longer-term funds lock investors up for 15 to 20 years (and hold investments for up to 10 years). These funds tend to offer investors less volatility and lower management fees in exchange for lower, but still decent, returns (averaging around 10 per cent, whereas shorter-term funds typically target 20 per cent or more). It varies from fund to fund, but it can take anywhere from three to six months and up to a year, depending on the circumstances, for a private equity fund to raise capital. This depends on a number of factors that can include whether the fund has established itself in the marketplace, whether the fund has any significant investors committed and how much capital the fund is trying to raise. The limited partnership agreement (as described in more detail below) will usually provide for multiple closings and will set a deadline for the final closing date. The limited partnership agreement will usually provide for a minimum amount of capital that the fund must raise in order to close, and often also sets out a cap for capital commitments. In order to secure a ‘lead order’ for the first fund of a new manager, often preferred economics (for instance, reduced management fee, or a share of carry) are provided. Whether those preferred terms are just for the first fund or successor funds is also a negotiated matter. Limited partnerships are used almost exclusively in Canada as the legal form for private equity funds. Investors become limited partners of the partnership and a corporation that is a subsidiary of the private equity fund sponsor becomes the general partner. Limited partnerships are governed by each province or territory’s limited partnership act, which generally limits the liability of a limited partner. Using the limited partnership structure generally allows losses and gains to be flowed through to limited partners. A limited partner is not liable as a general partner, unless, in the case of the Limited Partnership Act (Ontario), ‘the limited partner takes part in the control of the business’. Generally, funds are formed under the act of the province where the head office of the fund is located, although this is not required. In certain cases, a Manitoba limited partnership may be preferred as Manitoba offers a slightly more favourable regime to preserve limited liability of limited partners who also participate in the management of the fund. If a limited partnership has any non-Canadian members, the partnership will be deemed to be a non-resident for the purposes of Canadian withholding tax on payments made to it (including on dividends and certain interest paid by a Canadian entity). For this and other reasons, it is not uncommon for Canadian funds to employ parallel structures, with one partnership solely for Canadians and another for non-residents. The key documents for investments in private equity funds are the limited partnership agreement, the subscription agreement, and sometimes a side letter. The limited partnership agreement governs the relationship between the fund and the investor and sets out all the terms for the operation of the fund. Some of the key terms are described below. The investors in a fund will be required to enter into a subscription agreement which sets out representations made by the investor, including that it is an ‘accredited investor’. Investors will also make representations regarding anti-money laundering and may be required to provide additional know-your-client information. Funds often enter into side letters with important investors. Side letters, which are often heavily negotiated, include provisions that are uniquely applicable to an investor or alter the terms of the limited partnership agreement for that investor. 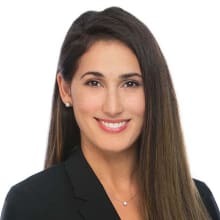 Examples include disclosure rights, notice rights, excuse or exclusion rights, preferential rights regarding co-investments, provisions regarding specific laws applicable to the investor, and restriction on in-kind distributions. Side letters often contain most favoured nation provisions, which permit the investor to review other side letters that the fund has entered or will enter into and to elect to receive such provisions (provided they are applicable to the electing investor or the electing investor has a certain minimum commitment). If the private equity fund uses a separate manager, another important document will be the management agreement. The management agreement will delegate some or all of the general partner’s authority to the manager (subject to the final authority of the general partner for investment decisions if the manager is not registered as an adviser under applicable securities laws) and typically addresses, among other things, management fees or carried interest and indemnities and limitation of liabilities. Canadian funds set out investment restrictions, which can include limits on the amounts that can be invested in any one portfolio company, geographic and industry limitations as well as ethical investment restrictions. Investment restrictions can also include limitations on hedging or minority interests and restrictions on hostile activities. The limited partnership agreement may provide that such limitations can be altered with the approval of, or consultation with, the advisory board. Investors expect that the general partner will have a vested interest in the success of the fund beyond a sharing of profits. Typically, the general partner, an affiliate of the general partner or key executives will make an investment representing between 1 to 5 per cent of the total capital commitments made by investors. A general partner investment of this nature aligns interests of management with investors and also reduces the incentive for the general partner to take on excessive risk in an effort to maximise returns for itself. Management fees are typically paid to the general partner or manager of a private equity fund in a quantum designed to cover its expenses for managing the fund. The usual range of these fees is 1.5 to 2 per cent of the total capital commitments to the fund, subject to a ‘step down’ once the investment period ends. Early investors or investors with higher capital commitments may negotiate lower management fees in a side letter. The economic structure of a fund is set out in the distribution waterfall that outlines how profits will be allocated and in what priority distributions (usually net of fund expenses and liabilities) will be made. Generally, the first tier of the waterfall provides a return of capital contribution to investors, the second tier provides a preferred return (typically between 5 and 8 per cent) to investors, the third tier allows the general partner to share in the profits generated by the fund until it has received an amount equal to the carried interest split it would otherwise have received as part of the first two tiers, and the fourth tier allows the general partner and the investors to split the pool of remaining distribution funds payable. The carried interest split is often 80/20 whereby investors receive 80 per cent of the distribution payable and the general partner receives 20 per cent; however, there can be significant variations in this range depending on market conditions and the relative bargaining power of the investors and the general partner. Clawback provisions provide an adjustment mechanism in the event of overpayment of carried interest to the general partner where an investment underperforms. Investor giveback provisions provide an adjustment mechanism in the event that investors are required to repay distributions, for example to fund indemnity payments that the fund is required to make to the manager or other indemnified parties. Limited partnership agreements typically provide a capital recycling clause that provides that the fund may retain or redraw a portion of the distribution proceeds for re-investment in portfolio investments. This clause will be subject to certain limitations, which are negotiable, including, for example, a cap on the total amount that may be re-invested, a time limit on when capital may be recycled, a restriction to only the initial capital contributions made to the fund by investors, and a restriction to capital returned from short-term or ‘bridge’ investments. Limited partnership agreements often provide for the appointment of an advisory board tasked with addressing issues such as conflicts of interest, valuation of the fund’s assets and changes to the investment parameters, among others. However, often the ultimate determination of these matters remains with the general partner. Investors with higher capital commitments often negotiate in their side letters the right to appoint a member to the advisory board. The limited partnership agreement will clearly set out that such investor’s appointment to the advisory board does not constitute participation by such investor in the control or conduct of the business of the fund, to ensure that such investor maintains its limited liability. Often the agreement will also provide that an advisory board member does not owe a fiduciary duty to the other limited partners. How successful a fund is often depends on the individuals managing it. That is why most limited partnership agreements contain ‘key person’ clauses, which set out the names of the individuals required to devote substantially all of their time to the fund. If they or an agreed subset cease to devote sufficient time, the investment period is usually automatically suspended, with payments for investments in process, follow-on investments and fund expenses still required. During a designated time period, the general partner usually has the ability to propose replacement key persons to the investors. The investors can either accept such recommendations (and the suspension period would end) or reject them (and the investment period would terminate). The limited partnership agreement typically sets out a number of rights available to investors, including rights to terminate the investment period usually after a specified period of time, terminate the fund and remove the general partner (both with and without cause), provided the requisite number of investors consent (usually 66.6 per cent). ‘Cause’ often includes a material violation of securities laws, fraud, bad faith, negligence or wilful misconduct and breach of any material obligation under the limited partnership agreement that is not cured within a specified time period. The solicitation of investors by Canadian private equity funds is governed by applicable legislation in the jurisdiction of the fund and provincial or territorial securities laws in the jurisdiction of residence of the investor. Unlike some other developed countries, Canada does not have a national securities regulatory regime; however, securities legislation is generally similar across the provinces and territories. The discussion below applies to solicitations across the country. Investment opportunities in Canadian private equity funds are typically distributed on a ‘private placement’ basis under exemptions from the prospectus requirements of applicable securities laws. The most commonly relied-upon exemption is the ‘accredited investor’ exemption, which applies to sophisticated investors, including high income or high net worth individuals, registrants and governments. If the fund intends to seek investments from global investors, it must also consider any applicable laws in the relevant jurisdictions. In the United States, where Canadian private equity funds often seek investors, these laws include securities laws, investment company legislation, pension legislation, investment adviser legislation and tax legislation. There is no requirement under securities laws in Canada to provide a prospective investor with a disclosure document in connection with a private placement (other than when relying on a specific exemption that generally is not used for private equity funds). Nevertheless, many private equity fund managers choose to provide prospective investors with a confidential disclosure document, also known as a private placement memorandum (PPM) as part of the solicitation process. The PPM will describe, among other things, the proposed investment strategy, track record and management team of the fund and the key terms of the limited partnership agreement. Although the PPM is not required to comply with the technical securities law form requirements of a prospectus, if it is used it will need to be filed with applicable securities commissions within 10 days of closing and provide for a right of action for damages or rescission in the event of a misrepresentation. In marketing a potential private equity investment, the general partner should only provide the PPM and marketing materials to persons and entities that have demonstrated that they qualify for a prospectus exemption and should take adequate steps to restrict access by the general public to materials and meetings. Often, the general partner will obtain a written confirmation from prospective investors regarding their status as accredited investors prior to commencing any marketing activity. 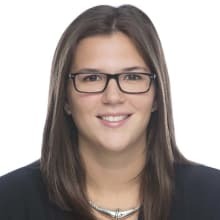 Ontario’s Limited Partnership Act does not explicitly set out what duties are owed by a general partner or manager to the investors of a private equity fund. Fiduciary duties are typically addressed in the limited partnership agreement and usually mirror the standard of care language in the Business Corporations Act (Ontario) expected of directors and officers of a corporation. Each province and territory has its own securities commission that has regulatory oversight of funds, the fundraising process and investors. Canada does not currently have a national securities regulator. There are three categories of registration under applicable Ontario securities legislation that are potentially applicable to a fund in Canada, which are set out in National Instrument 31-103 (NI 31-103). However, as noted below, registration is typically not required for a conventional private equity fund. There is a requirement to register, subject to an exemption, for (1) parties acting as an investment fund manager, (2) parties engaged in the business of advising, and (3) parties engaged in the business of trading. The application of the requirements largely depends on the nature of the activities carried on by the fund and is ultimately fact-specific. An investment fund is defined as a mutual fund or a fund whose primary purpose is to invest money, but that is not formed for purposes of exercising control over or managing an issuer. A private equity fund does not fall within the definition of mutual fund, provided that the fund’s manager is actively involved in the management of the companies it invests in (e.g., representation on the board of directors, direct involvement in the appointment of managers or a say in material management). Similarly, a person acting as the manager of a fund that is not an investment fund is not required to register as an investment fund manager. In assessing whether registration is required as a dealer or as an adviser, the analysis often comes down to whether a person is trading or advising for a business purpose (generally referred to as the ‘business trigger’). 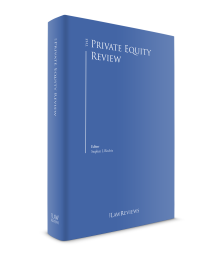 The Companion Policy to NI 31-103 provides that private equity investing is distinguished from other forms of investing by the role played by private equity management companies. To the extent the private equity fund manager (or the fund, as applicable) does not engage in other activities that would require registration, there is generally no requirement for registration as: (1) an adviser, if the advice provided in connection with the purchase and sale of companies is incidental to the fund’s active management of these companies; or (2) a dealer, if both the raising of money from investors and the investing of that money by the fund (in securities of companies that are usually not publicly traded) are occasional and uncompensated activities. As described above, most funds in Canada are structured as limited partnerships. A limited partnership itself is typically fiscally transparent and is not liable for Canadian federal income tax. The income or loss of the limited partnership will be computed for each fiscal period as if the partnership were a separate person resident in Canada. A limited partnership that is a ‘SIFT partnership’ will be subject to tax in Canada on certain Canadian-source income (including capital gains). A limited partnership generally will not be a SIFT partnership unless investments in the partnership are, or become, listed or traded on a stock exchange or other public market. The income or loss of a limited partnership for Canadian federal income tax purposes for each fiscal period of the partnership will be allocated at the end of that fiscal period among the partners holding interests in the partnership during that fiscal period. In general, a limited partner’s share of any income or loss of the limited partnership from a particular source (including its share of any taxable capital gain or any allowable capital loss of the limited partnership) will retain its character, such that the limited partner will be treated as if it had incurred any such income or loss directly. A non-resident investor in a Canadian fund generally will not be subject to Canadian federal income tax on its share of income from a business carried on by the fund outside of Canada. As noted above, a limited partnership with non-resident members will be deemed to be a non-resident person for the purposes of Canadian withholding tax. A non-resident investor will, therefore, be subject to Canadian withholding tax on certain Canadian-source non-business income, including dividends and certain interest, but generally will not otherwise be subject to Canadian federal income tax on non-business income. The rate of withholding tax is 25 per cent of the gross amount of the payment, subject to reduction under an applicable income tax treaty. A non-resident investor may be taxed in Canada on certain capital gains, including its share of any capital gains allocated by the fund from the disposition of ‘taxable Canadian property’ (TCP) and gains from the disposition of an interest in the fund (if it constitutes TCP). TCP generally includes: (1) Canadian real or resource property; (2) assets used in carrying on a business in Canada; and (3) interests in entities that, at any time in the five-year period preceding the disposition, directly or indirectly derived more than 50 per cent of their value from Canadian real or resource property. Tax reporting may also be required and, where applicable, non-residents may wish to consider blocking strategies to minimise Canadian reporting. Canada has a value added tax system that applies federally at 5 per cent (called GST) with an additional component of 8 per cent in some provinces (collectively, HST). Generally, private equity funds structured as limited partnerships that invest in shares and debt of other entities must pay HST on their expenses and are not entitled to recover the HST paid as input tax credits. In recent years, funds have begun to structure their affairs so that management activities are undertaken by the general partner as a member of the partnership rather than by a third-party manager. This structure was employed on the basis that distributions to a partner in consideration for its activities as a partner were not subject to HST but management fees paid to a third party were. In addition, in order to curtail the incentive for funds to establish themselves in provinces that do not impose HST (but only GST), there are complex allocation rules applicable to most forms of investment funds that impose HST based generally on the residence of the fund’s investors. The existing law does not require most funds formed as limited partnerships to make these allocations. The federal government has introduced proposed legislation to address both of these situations. First, under the proposals, a limited partnership whose assets are primarily financial instruments (such as shares, debt, trust units or other partnership interests) (called an investment limited partnership) will be required to pay HST on the fair market value of management services provided to the partnership by a general partner. The current draft legislation has technical issues. It is expected that revised draft legislation will be issued before these proposals are enacted into law. Second, investment limited partnerships will become subject to the HST allocation rules applicable to other investment vehicles. Under the proposed rules, which will be effective beginning in 2019, an investment limited partnership will be required to determine the amount of HST payable by the partnership based on the residence of its investors in various provinces based on complex allocation rules. In addition, the federal government has proposed to impose HST on non-resident funds that have significant Canadian investors and to provide rebates for Canadian funds with significant non-resident members. It is not certain that these proposals will be enacted. As discussed earlier, in Canada each province and territory has its own securities commission. However, there have been ongoing efforts by the government of Canada to establish a national securities regulatory authority to harmonise existing local regimes under a single statute. The Supreme Court of Canada reviewed legislation proposed by the government of Canada in 2011 and concluded that the proposed legislation, as a whole, would not be valid under the general branch of the federal trade and commerce power under the Constitution of Canada. Notwithstanding that finding, the Supreme Court of Canada noted that certain aspects of the proposed legislation could be valid under that power and that a national securities regulatory authority was possible if each jurisdiction voluntarily opted in to the scheme. Since then, the federal government has continued to negotiate with the provinces and territories to attempt to gain support for a national regime. In May 2016, the federal government circulated the Capital Markets Stability Act (CMSA) that proposes to create a national Capital Markets Regulatory Authority (CMRA) that will be responsible for identifying capital market risks and developing policies to address those risks and tasked with investigations and enforcement of criminal sanctions. Additionally, the Capital Markets Act, which forms part of the CMSA, proposes to replace provincial securities legislation in cooperating provinces and territories. As at February 2018, only the provinces of Ontario, British Columbia, Saskatchewan, New Brunswick and Prince Edward Island, and the territory of Yukon, have agreed to participate. Alberta and Quebec have been firm in their opposition. The private equity market in Canada saw high levels of activity in 2017, and 2018 is expected to be another strong year, in part due to Canada’s solid economic outlook, its highly competitive deal landscape, and the stable political and regulatory framework. It is anticipated that mid-market transactions will remain particularly strong, and that domestic and foreign investors will continue to seek alternative investments, including in the energy, utilities, and civil and social infrastructure sectors. Interest in technology-related investments and funds is also expected to continue to rise, on the heels of recent provincial and federal government commitments of billions of dollars in funding over the next few years. As family offices increasingly trend toward direct investment rather than investment through intermediary funds, they are expected to continue to play a meaningful role in the Canadian private equity landscape as competitors to traditional private equity funds. In the fundraising market, longer-term funds may capture an increasing market share of available capital, although they are likely to remain a niche of the overall buyout fund space for the time being. It is anticipated that in a highly competitive market, large investors will continue to have leverage in fund investment negotiations, in particular in regard to lower fees and priority of co-investments. Finally, exit options for 2018 are anticipated to be robust, with secondary trading between funds becoming more prevalent and also due to a resurgence in the initial public offering market. 1 Leah Boyd and Kenneth Saddington are partners and Resa Jacob is an associate at Goodmans LLP. 2 All figures are in Canadian dollars, unless otherwise specified. 12 Pitchbook, ‘2017 Canada PE & VC Breakdown 2017 – Part II’ (November 06, 2017), online: https://pitchbook.com/news/reports/2017-canadian-pe-vc-breakdown-ii [Pitchbook II]. 13 Pitchbook, ‘2017 Canada PE & VC Breakdown 2017 – Part I’ (June 07, 2017), online: https://pitchbook.com/news/reports/2017-canada-pe-vc-breakdown-part-i. 15 Pitchbook II, supra note 12. 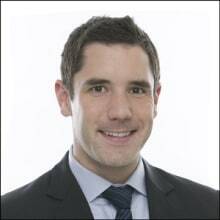 16 Kirk Falconer, ‘Onex surpasses target for Onex Partners V, raises $7.15 bln’ (November 16, 2017), PEHub, online: https://www.pehub.com/canada/2017/11/onex-surpasses-target-for-onex-partners-v-raises-7-15-bln/. 17 Novacap Management Inc., ‘Novacap closes TMT V Fund at $840 Million’ Cision, online: < https://www.newswire.ca/news-releases/novacap-closes-tmt-v-fund-at-840-million-635580423.html>. 19 Kirk Falconer, ‘AreaOne Farms harvests growing institutional demand for farmland assets’, Buyouts Magazine (January 9, 2017), 14.